This beautiful picture of Eleanor May McDonald was submitted to the Because of You community project. I’ve been contacted by Jennifer, who is undertaking a community project for a leadership course. Her project takes the form a blog where motherless daughters worldwide can connect and celebrate the lives of their mothers. The blog is called Because Of Her. 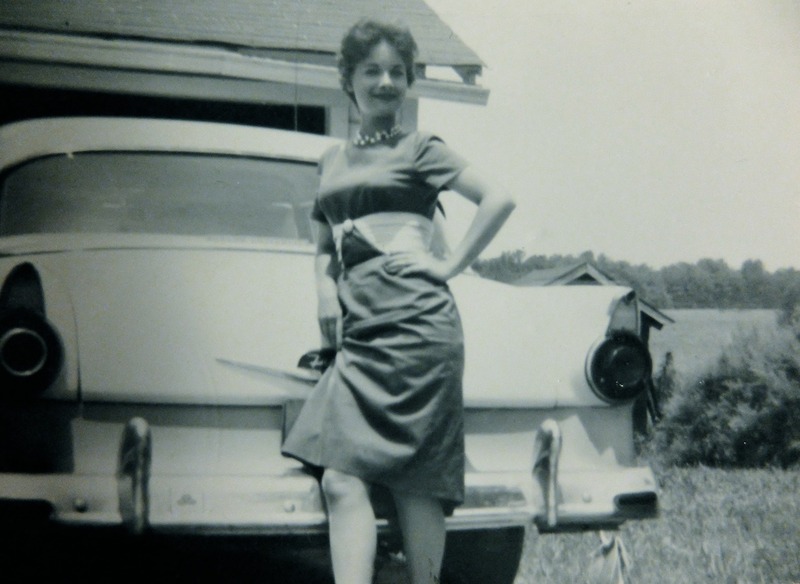 Jennifer would like to invite you to post a photo and some words about your mother on the blog. If this is something that you would like to be part of then click on www.becauseofherxo.tumblr.com for more details on how to take part. With Mother’s Day just around the corner – a day that we motherless daughters struggle with – this seems like an ideal way to honor our beloved mothers. I just submitted and will be sharing this. I am dreading mother’s day. I truly think that I am going to stay off of most social media that day….not quite sure I can handle it. Thanks for sharing! What a lovely idea. Although I admit, as soon as I read this, my stomach clenched and my first thought was, “No! Don’t go there. Don’t think about her right this second.” That protective instinct is strong, even after 8 years. I suppose that’s why projects such as Jennifer’s are so important.